It is quite small (the dandelion seed might be taken for scale) and I’m unsure about the exact species but one thing I’m sure about: does not belong in a well groomed lawn. 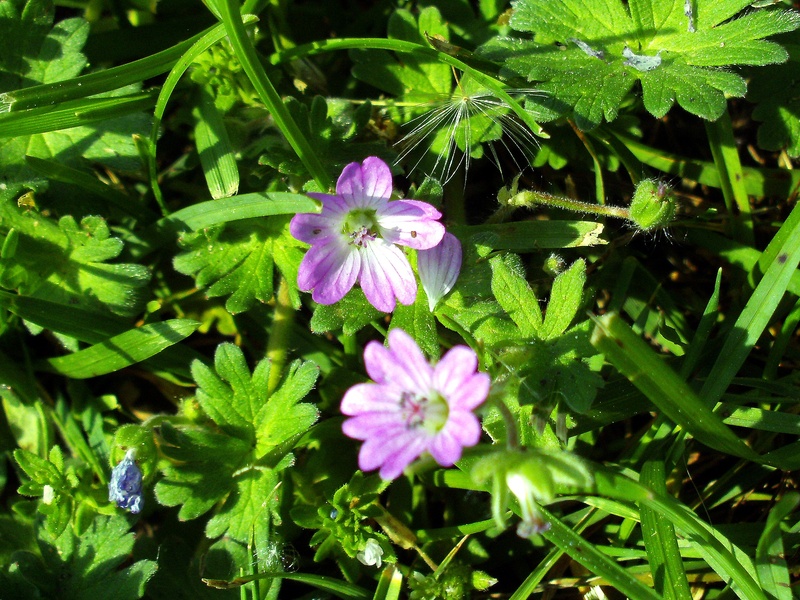 This entry was posted in Flora & Fauna, Garden and tagged Lawn, Sick Leave, UBO on 2013/05/30 by deamentiaemundi. Holstein cat.Pretending to do its duty. You heard a mouse? Here? Where some cats defecate regularly? Just by change? Be carefull, my little no-tomcat-anymore, be carefull! 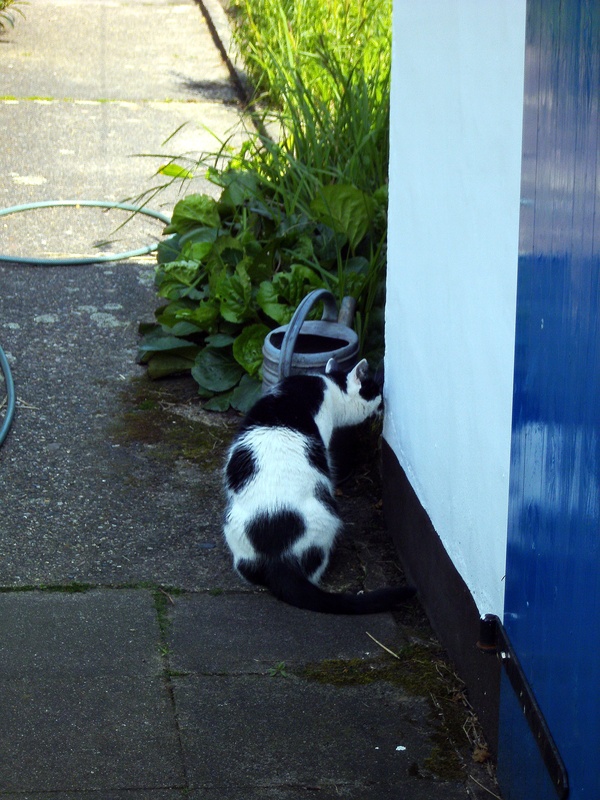 This entry was posted in Flora & Fauna, Garden and tagged Cat, Herb Bed, Litter-Box on 2013/05/30 by deamentiaemundi. Hard to see but it is nearly full grown, in such a short time. 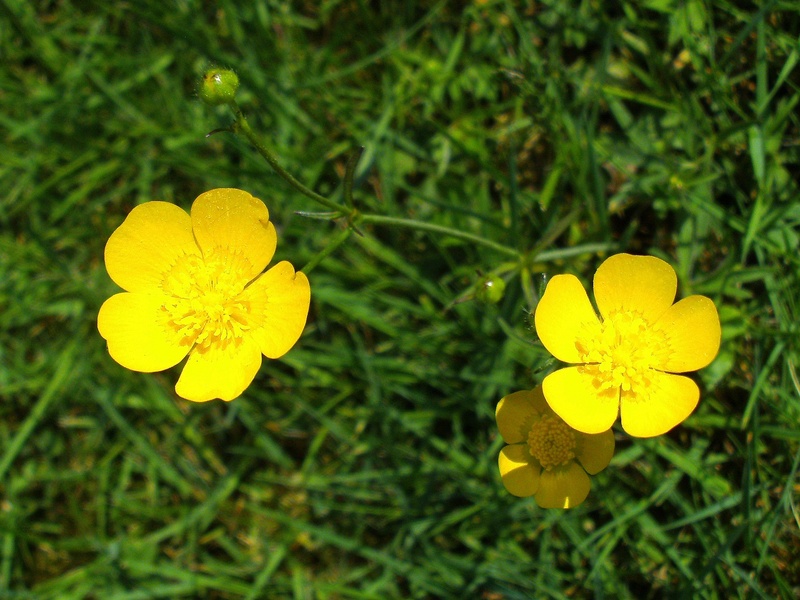 This entry was posted in Flora & Fauna, Garden and tagged Lawn, Meadow Buttercup, Ranunculus acris, Sick Leave on 2013/05/29 by deamentiaemundi. That was the only one that seemed to have survived the last cut. 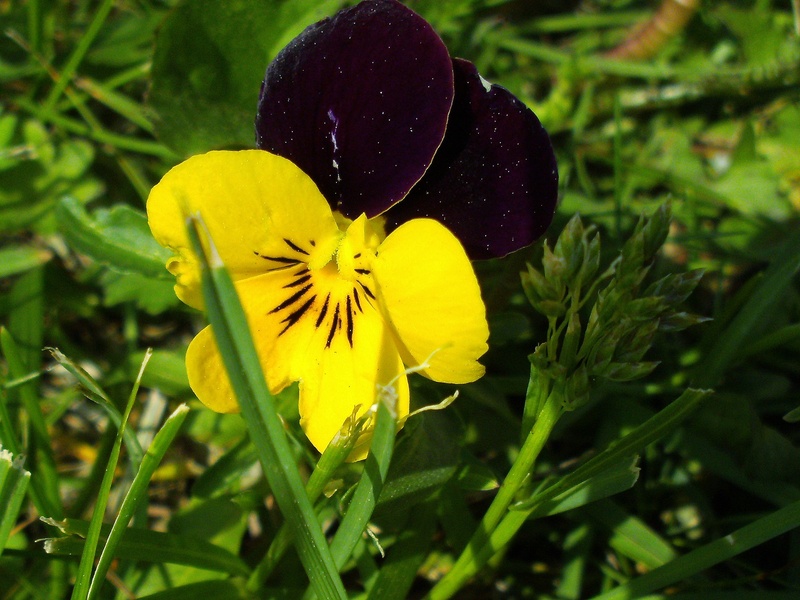 This entry was posted in Flora & Fauna, Garden and tagged Horned Violet, Lawn, Sick Leave, Viola cornuta on 2013/05/28 by deamentiaemundi. Maybe Acyrthosiphon pisum but they do not have the black tips. What I have done? Not much: I just ripped off the stem (carefully, not to drop any of the aphids) and put it in the garbage bin which has a lid. 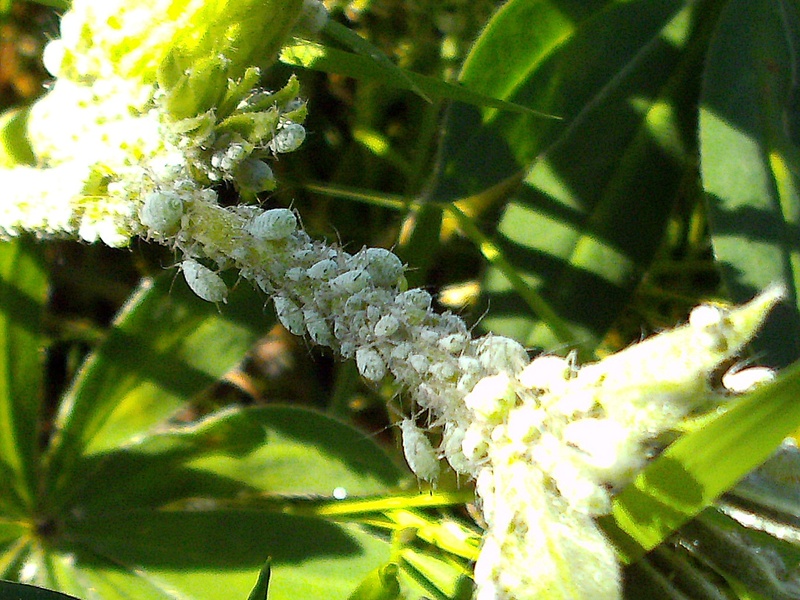 This entry was posted in Flora & Fauna, Garden and tagged Aphids, Garden Lupine, Lupinus polyphyllus on 2013/05/28 by deamentiaemundi. I fell sick for a couple of days just before I was able to mow the lawn. It is quite surprising how fast these not-lawn-plants grow up. 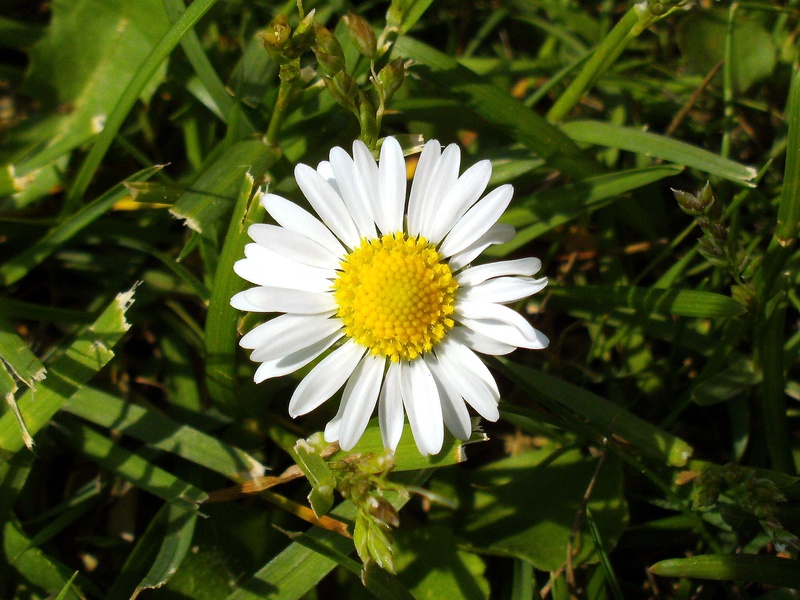 This entry was posted in Flora & Fauna, Garden and tagged Bellis perennis, Common Daisy, Lawn, Sick Leave on 2013/05/28 by deamentiaemundi. I decided, freely, herby and herewith to dedicate this and some following day(s) to the kingdom of animalia and others and will post one or more, or even a completely different number of, pictures of something alive. 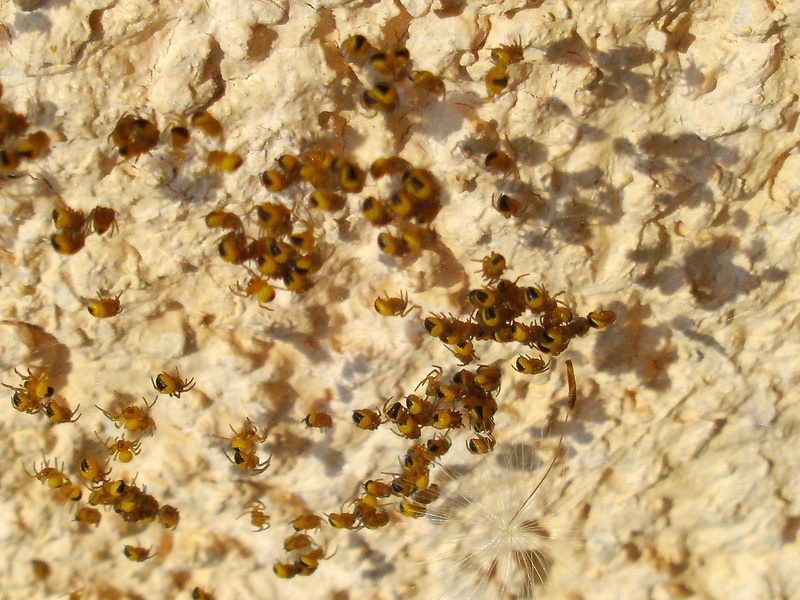 The exact species of the spiders depicted above is unknown to me (Most probably Araneus spp., maybe even an A. diadematus? ), so if you know more: feel free to spare your knowledge. The colors should be a bit more yellowish but not much. You may take the dandelion seed at the lower right a for scale. This entry was posted in Arachnoday, Flora & Fauna and tagged Animals, Arachnoday, Dandelion Seed, Spiders on 2013/05/27 by deamentiaemundi.